THIS JOB IS NO LONGER AVAILABLE. SEARCH NEW JOBS HERE. Sealed Air Corporation creates a world that feels, tastes and works better. In 2015, the Company generated revenue of approximately $7.0 billion by helping our customers achieve their sustainability goals in the face of today’s biggest social and environmental challenges. Our portfolio of widely recognized brands, including Cryovac brand food packaging solutions, Bubble Wrap brand cushioning and Diversey cleaning and hygiene solutions, enables a safer and less wasteful food supply chain, protects valuable goods shipped around the world, and improves health through clean environments. 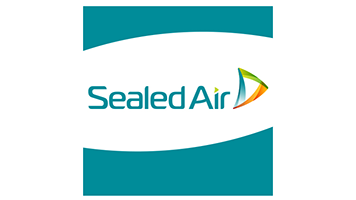 Sealed Air has approximately 23,000 employees who serve customers in 169 countries. To learn more, visit www.sealedair.com. The Production Artist plays a key role in the development of sales and marketing collateral across business sectors and portfolios and will work closely with the Traffic Coordinator, Production Manager and Marketing Communications Specialist. The Production Artist must feel comfortable in a team oriented, collaborative work environment, have a highly creative aptitude, and be adaptable to a high level of multi-tasking and change. • Create print-ready artwork for a wide variety of uses within established corporate and division brand guidelines, including but not limited to: brochures, manuals and catalogs, technical sheets, sales flyers, advertising for both print and online, tradeshow graphics and signage, and revisions to past production files. • Responsible for taking concept designs to artwork stage, creates visuals/artwork that meets stakeholder expectations within time allotted by the Briefing Tool project management system. • Ensure accurate, timely development of artwork by utilizing the online Briefing Tool to obtain job specifications and assets as well as job scheduling details. • Liaison with external print vendors and agencies to transfer files and data, and review and approve materials for print or distribution. • Bachelor of Arts degree in graphic design. 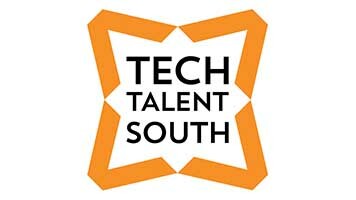 • 3+ years of relevant production or graphic design experience in agency, studio or in-house corporate environment. • 5+ years using Macintosh software and Adobe Creative Suite (InDesign, Illustrator, Photoshop and Acrobat) programs. • 5+ years using Microsoft Office programs (Office Suite, PowerPoint, Excel and Word). • Customer-focused style, experience working in deadline driven environment, and high level of attention to detail to provide high quality final product. • Experience with HTML and the creation of digital advertising is desirable, but not required. • Must be able to perform methodical work to follow approved processes/guidelines and work independently and under pressure. • Highly creative aptitude with ability to collaborate with key stakeholders. • Excellent team player with good interpersonal skills who is confident and technically adept. • Ability to learn new software and use it confidently/competently.